When you open your windows this spring will you be greeted by birds chirping or by the compressor sounds of your neighbor's heat pump? Seattle has highly restrictive noise ordinances, as do several communities on the Eastside. 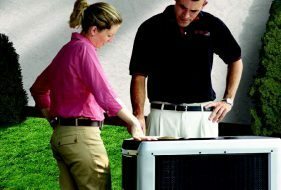 Fox’s HVAC team has what you need to know before you choose where to install a heat pump or air conditioning system with outdoor components. First things first, we are talking about outdoor unit decibel ratings. Decibel (dB) ratings are a measure of the intensity of sound. For example, talking in a normal voice is about 60 dB. The level of sound you hear from indoor HVAC components is different. Indoors, a ductless split system will be almost beyond hearing, at the level of a whisper. Outdoors it is only slightly louder, still very quiet. 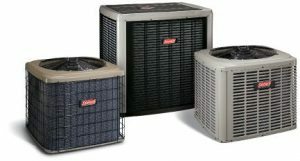 The indoor sound made by a furnace fan used in central air conditioning or heating will vary depending on the stage, type of fan, duct configuration, and other factors. Outdoors, the compressor for an air conditioner or air-source heat pump can be significantly louder. The city of Seattle has a noise level restriction that is fairly complex. It’s a requirement, and they do inspect. The requirement is a decibel rating of 45 dB for heat pumps and 55 dB for air conditioners measured at 3 feet from the property line. In Medina and other municipalities, there are day and night requirements. The measurement includes a calculation of how sound travels over distance, so it does not mean that you need to purchase a 45 dB outdoor heat pump unit, it just means you have to situate the outdoor unit so that taking into account the distance to your neighbor’s place, it ends up at 45 dB. The placement of central air conditioning units and air-source heat pump units is trickier. The compressors are louder, the units are sizeable and they require more space around them for airflow. Even with the latest technology which promises quieter units under 70 dB, care should be taken in choosing a spot. Too close to adjacent walls or a carport and there could be an echo that increases and amplifies the decibels. If there are only 15 feet between your house and the next door neighbor’s, and you place it in between, the unit will be louder still. The good news is that you can obtain sound dampening blankets or wood fencing as a barrier to reduce the noise impact if you have to. It is definitely worth giving consideration to the noise ordinances before your installation of a new HVAC product. Making the best choice upfront will save you time and costs at a later date. 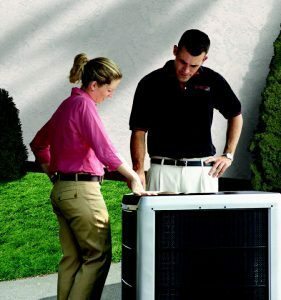 For a review of heating and cooling options that will work for your property, talk to a Fox HVAC Specialist.